Spot styrene prices, which have been on a downtrend in over two months, continued to face more downward pressure last week. The ongoing drops in crude oil have mainly led to the continued downtrend of styrene across the globe. The other contributing factors were cited as thin demand, ample supplies as well as lower ethylene and benzene prices. 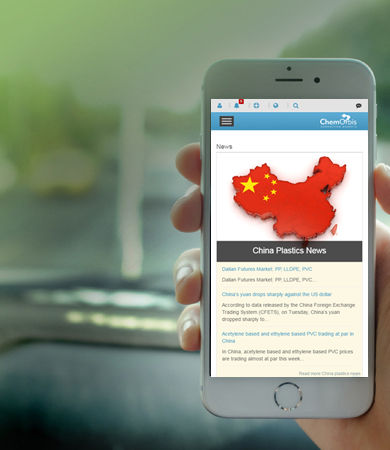 In Europe, the spot styrene market witnessed a new round of steep price falls in the face of ample supply and the bearish sentiment in the Asian markets. Logistical challenges stemming from the extremely low water levels in River Rhine have also played a part in the recent price declines. 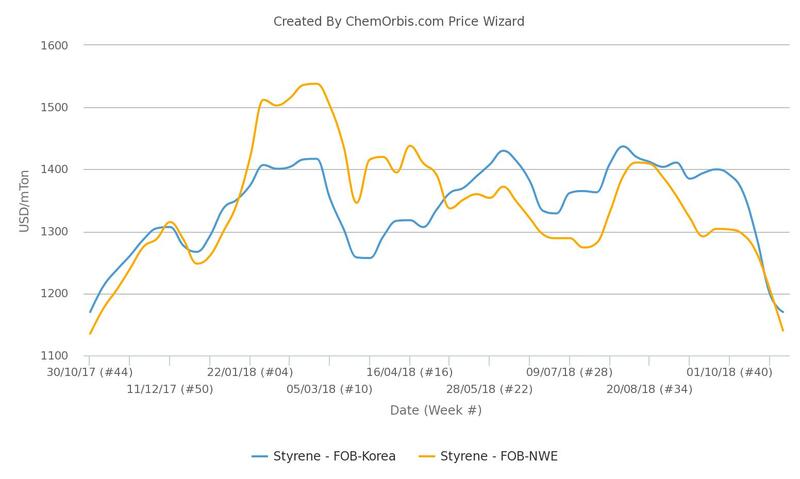 According to data from ChemOrbis Price Wizard, spot styrene prices on FOB NWE have fallen to their lowest levels since October 2017. The spot styrene market in Asia faced more downward pressure amid weak trading activities, with buyers uncertain on price movements. Higher styrene inventories in China have also kept sentiment bearish. Data from ChemOrbis Price Wizard suggest that the weekly average of spot prices on FOB South Korea basis now stand at a one-year low. Similarly, styrene prices in the US plunged further despite an ongoing turnaround at CosMar’s styrene plant in the US Gulf Coast. The latest declines were mostly driven by falling benzene and crude oil prices coupled with higher inventory levels. The weekly average of spot styrene prices on FOB USG basis has lost around $257/ton, or more than 18%, since the beginning of the downtrend in August.